What’s the best way to talk to your students about a natural disaster, and what can your class do to help? In the wake of Hurricane Harvey our hearts go out to all the individuals and families affected by the tropical storm. Hurricane season can be an unnerving time for students. Here’s how to address them in your home or classroom. Experts say that it’s important to remain calm around kids and to first ask about what they understand about the recent disaster. Then give them the facts about what’s going on in a matter-of-fact tone, and ask if they have any questions. (It’s okay to say that you don’t know all the details!) Limit media exposure based on their age and comprehension level, and make sure to maintain a calm demeanor as you continue to answer questions they might have. 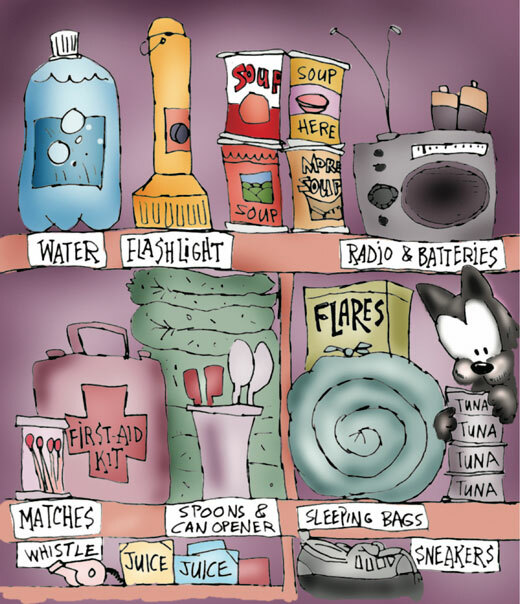 Save the Children suggests letting kids relate to the situation by going over your own plans in case of an emergency. What can your family or classroom do to help during Tropical Storm Harvey? 1. First, empower young learners with knowledge. Ask them what they already know, and then offer them digestible information about what’s going on. Check out our units about Extreme Weather and Hurricanes to help them learn more about natural disasters and weather patterns. We’ve made the following online resources free for the duration of the storm: Hurricanes, Preparing for a Hurricane, Predicting Hurricanes, and What is a Hurricane? You could also consider the charities listed in this popular article, and verify them using this Charity Navigator. 3. Have students partner up to research and report on the goals of each organization, and decide as a group which one you’d like to help, and why. 4. Brainstorm a list of ways students can earn money for a class donation. Ask about ways that kids have earned money in the past, or read through this helpful aggregation from Family Mint. 5. Set a goal for an amount and a date to donate, and as you raise funds, consider posting a fund-raising goal poster in your classroom. By approaching a natural disaster in a matter-of-fact tone, and empowering students to learn about what’s going on and make a difference, educators can provide their students with a lesson in both science and civics. How are you talking about the storm with your class? We’d love to hear from you @Kids_Discover.